Newbie here. 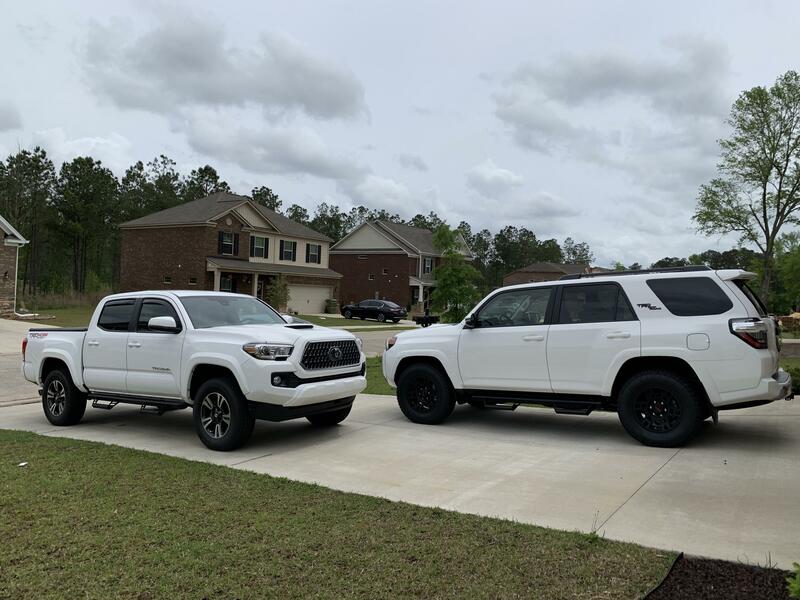 Recently went from a Jeep family to a Toyota fam. Thinking of getting some new wheel to match the 4Runner. I have a 2018 Manual Taco TRD Sport. Not sure what to decide for wheel size so I am looking for suggestions, opinions, experience. I want to get the Stealth Custom Series stealth 6 in matte black. Just not sure what size and rubbers to go with them. All ideas welcomed. Depends on what you plan to do with the Taco (off road, street use only, forest roads, etc) and weather (Snow, ice, neither). I live in South Carolina so I do not have to worry about snow and ice. I will not be doing a whole lot of off road. Only to get to mountain bike trails, hunting spots, nothing to intense. SC is known to have a lot of sand. Did a little reading today and i am leaning toward 17's with just some all terrains. Spend some time reading Tire threads in the 2nd Gen forum. Lots of advice there.